Lean Reflections: Photos from LSI Dinner Cruise! 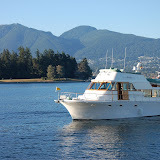 LSI hosted a dinner cruise on Friday around our beautiful Vancouver harbour! We had a splended time with our clients on a perfect summer evening. Click below to see all of our photos from this great evening. Looked like a very nice time. I wish we could have attended, however we are up to our ears packing up (uhmmm I mean 5S'ing) this house! Looking forward to finally being a 'Lower Mainlander' next weekend! Please join us next time!